Only a small percentage of amazing parents raising children with a diagnosis are represented by those who write, speak or are interviewed to raise awareness and support. The true diversity of our community is not reflected on the internet or in the leadership of local, regional, or national support groups. Otherwise homogeneous groups have a natural diversity that is not explained by what they have in common, so it should be no surprise that some families raising children with disabilities would be considered strange by many of their peers if their actual status did not have so many disguises. As time passes, the perspective of parents change and we put our energy into different activities. 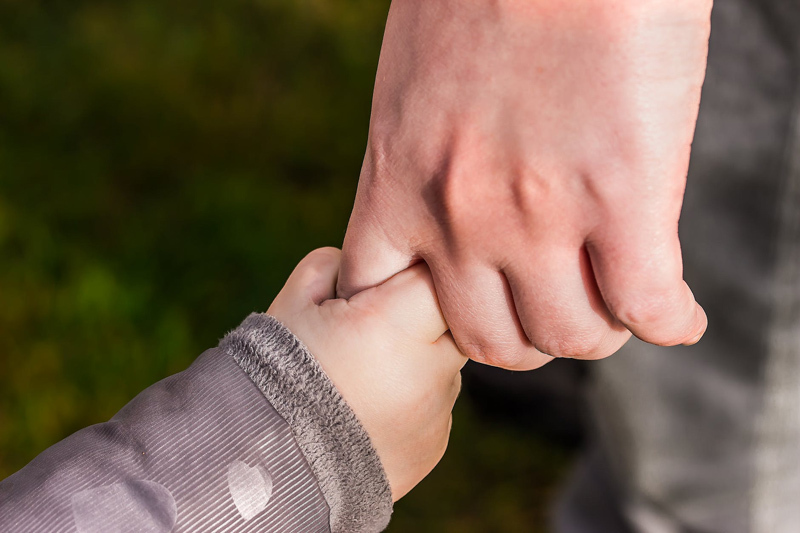 Relationships between parents can change status with specific causes kept private and loss of support and contact with the non-custodial parent unrecognized. Adoptive, foster and natural parents are affected by assumptions made about their families that are absolutely ridiculous, whether extremely positive or decidedly negative. Even those who have close relationships with our children may experience cognitive dissonance about the struggles as well as the joy of raising a child a disability, and resist understanding that every child with that diagnosis is a unique human being. There seems to be a consensus that parents of children with special needs have a certain resilience that helps them carry their families forward. Some professionals have described one strategy as 'denial' and attributed it to a stage of grieving. Adapting to a new normal has long been compared to grieving the loss of a loved one. Medical professionals adding an extra layer of skewed perspective may have created the greatest distortion of what families actually experience in daily life. I believe there is a difference between lying and being in denial. A lie is denying that your child has had any problem at all in an unreasonable length of time, when specialists have been consulted or have been recommended. Every mainstream child has something odd going on in different years of their lives. Denial can motivate a desperate parent to purchase quack treatments that in their hearts they believe is a cure being ignored by mainstream medical professionals and even national advocacy organizations. A lie is that untested experimental regimes are safe or effective for babies and young children. But denial is usually just ignoring a possibility that we cannot accept or deal with so we can get on with our lives and make the most of the opportunities we have. Sometimes what is labeled as denial is just a parent being exceedingly precise in answering a general question that has no easy answer. For instance, the question, "How recently has your family experienced a crisis?" may result in one parent responding "I can't remember" as if the last crisis was so long ago, she does not remember. Another parent may be asked, "When was the last time your son or daughter had a crisis?" and answer "What day is today?" A great deal depends on what a parent considers a crisis. The first parent may not remember because she has not slept more than 4 hours in 72. The second may conclude her thought by saying, "If it's still Tuesday, then this morning. But if it's Wednesday, and you don't count the hours after midnight, then yesterday." Of course, there may be several parents in the room who either have not had what they consider a family crisis in so long they really don't remember, and others who ask what day it is because the fifth or tenth anniversary of the last crisis is approaching. And there may be a few who are so hypersensitive to the presence of crisis potential that they count something others consider inconsequential as a major catastrophe in their family life. Other parents familiar with recent events in our children's lives may have a different perspective on how our families compare with others. A young mom once bitterly complained to me that her neighbor was whining because her son had a cold, and she wanted to say: "Come to me if he has brain surgery, like my baby just did." I felt proud and honored that she would confide in my like we were equals, but later wondered what she saw in my life that would compare to her little boy's brain surgery. And I never admitted to her that I came quite undone when my daughter caught her first cold as a baby. I don't believe it is either a lie or denial to masquerade for a while as if we are not dealing with big scary health issues or uncertain futures. Taking vacations from the reality of a diagnosis and living regular lives makes more sense than trying to fit our lives into a medical model of life. That is how we learn that disability is just a small part of our children's pie of life, and that most (if not all) of the slices that are different due to the diagnosis are still well within the realm of very good pie. Another effect of taking a break from reality is learning that what we thought was certain was just our own poorly informed guess. We are also likely to make well-informed guesses that are right for a while but, as situations out of our control change, turn out to be much less successful. School programs change; specialists retire or make the move to research; important people in a family's circle of support are no longer available. We can't tell who will be there for us in a crisis based on small disagreements we have had with friends or family over matters that turn out to be insignificant. Every so often a child develops a reaction to an ingredient in an expensive supplement and has seizures, but instead of a smug "I told you so" the ones who repeatedly referred us to Quackwatch turn out to be the most supportive people in our lives, because they saw both sides from the start. Or the parent who was so angry because we sent them links to Quackwatch when they gave their child expensive supplements is the one who organizes visits, meals and sib outings for us on CaringBridge after a car accident or unexpected health crisis. It is not that we are actually flexible; we make different decisions as our lives unfold because we are doing the best we can with the situation at hand and what we know at the time. Like homeowners who walk away from a beautiful condo because their HOA board is intractable, we sometimes take a loss to preserve sanity or a sense of well-being. Many people stay and deal with impossible situations because they have no alternative. Others take a risk and start over only to find the same situation in a new community. Often, wonderful things happen that are unexpected, and we cruise through time in a virtual Pink Cadillac. Things within our control and completely out of our control can easily make an average person strange. In my son's early days, I consulted the ARC in the Annapolis area asking how I could help my son reach his full potential. I told the woman who answered my call that it was okay with me if my son needed my care and lived with me his whole life. After a brief but significant pause, she told me that teens and young adults with Down syndrome were getting together with advocates to let their families know they did not expect to live at home when they were grown. I glanced down and my son gazed deeply into my eyes and smiled. Message received! My son continues to take this for granted, and that allows him a certain satisfaction with life no matter what he is doing or where he lives. Growing up in the mainstream, and observing the lives of his sister's friends from a distance, he has seen struggles and adventures that do compare to his. His expectations give him ambitions that will take him farther than I could imagine. Discovering early on that each child is a unique and interesting person is the fastest path to a parent being strange.